Happy St. Nicholas Day! 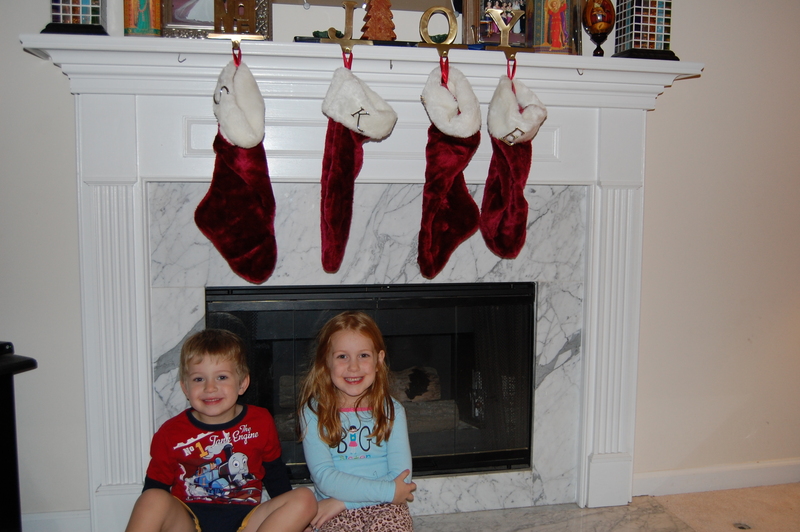 At our house we put up our stockings the evening of December 5, the eve of St. Nicholas Day. 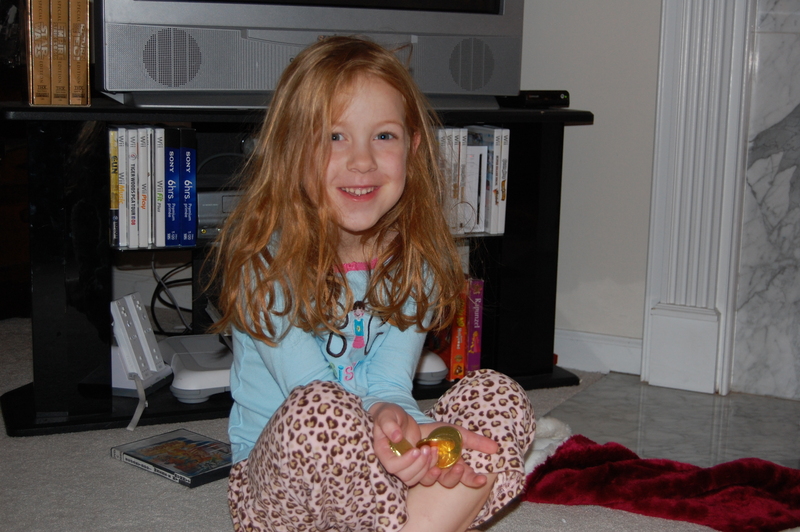 St. Nicholas comes during the night and leaves gold chocolate coins and a gift in each stocking. 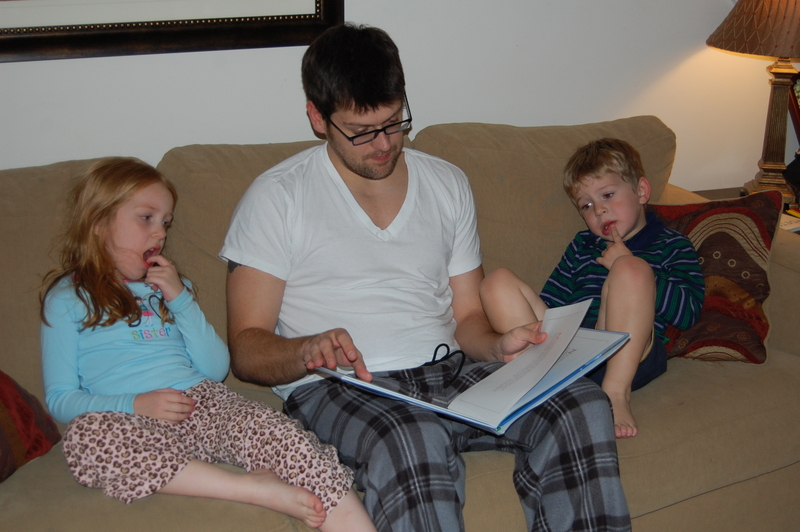 Now, on Christmas Eve, we tell the kids Santa is coming and we leave out milk and cookies. 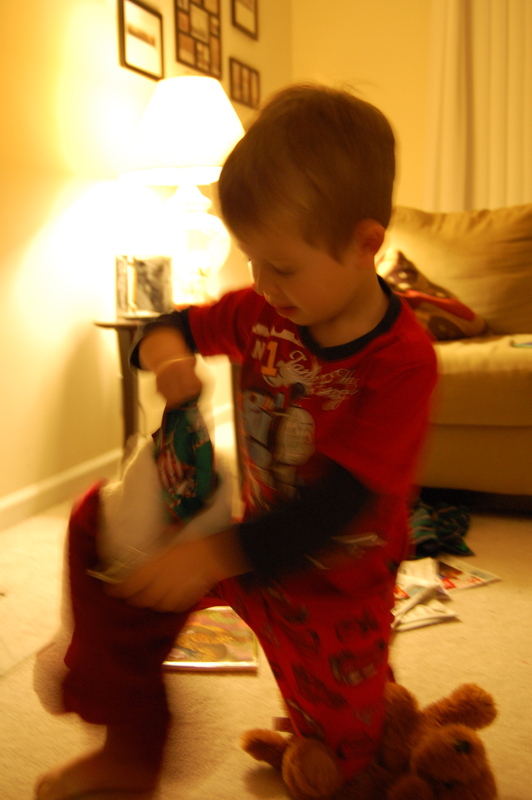 In the morning, they will have gifts in their stockings and a few unwrapped “Santa” gifts. So far we have gotten away with very general statements like, “The idea of Santa Claus came from St. Nicholas” and “St. Nicholas and Santa Claus are kind of the same person.” That’s worked so far. 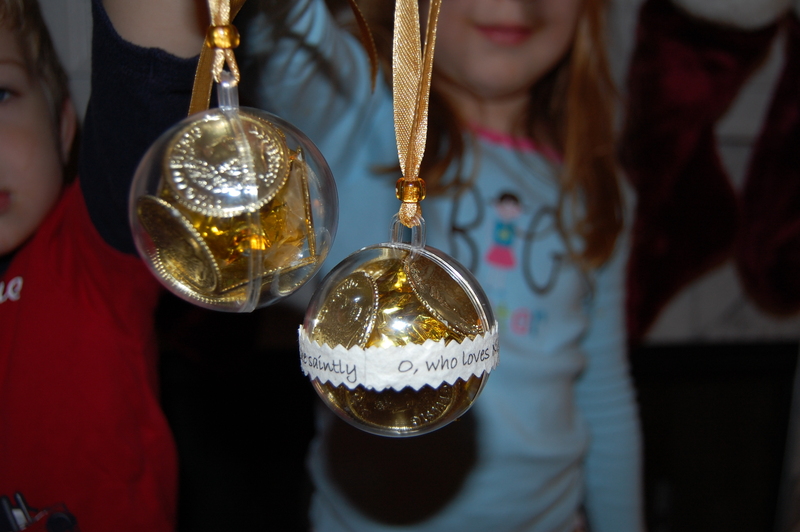 So yesterday it so happened that both kids’ godparents gave them this St. Nicholas ornament packet. 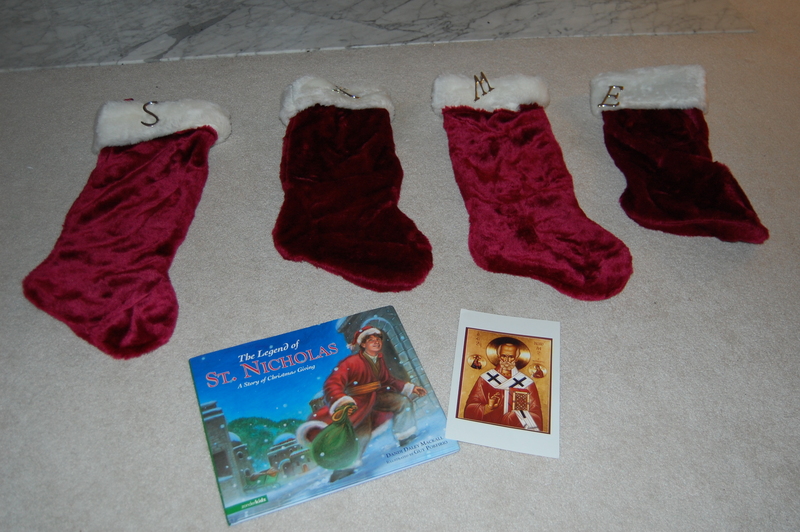 The kids put them together yesterday afternoon, and last night we read a St. Nicholas book to them and they put the stockings up. This morning, Ephraim was first downstairs. 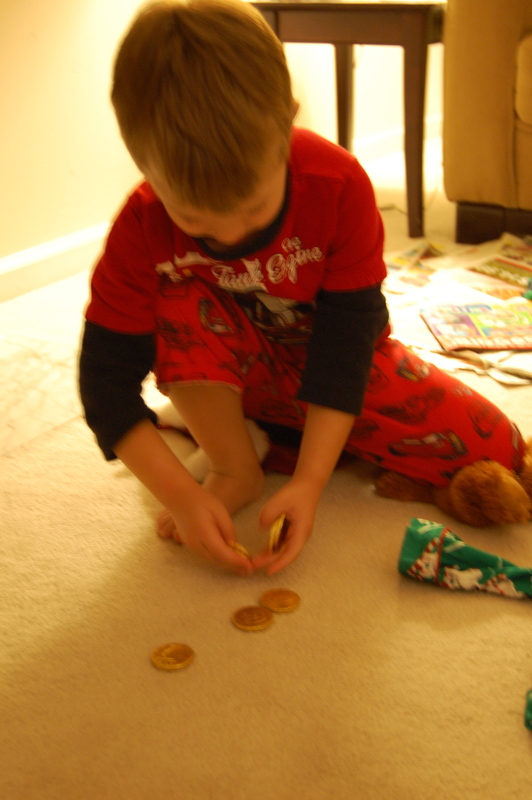 He got a dinosaur book, Christmas pajamas, and gold coins. 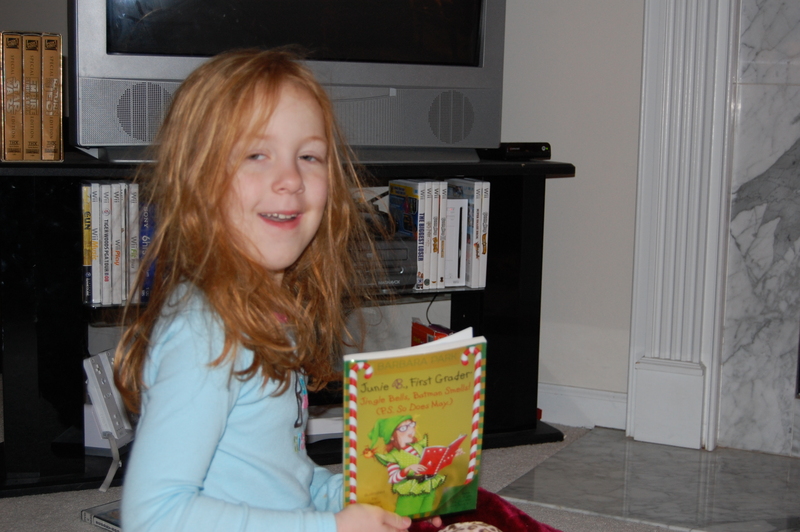 We dragged Miss Sleepyhead downstairs and she found a Junie B. Jones book (her favorite series right now) and her own Christmas pajamas and coins in her stocking. St. Nicholas was a real man who was known for secretly giving gifts. He often left coins in people’s shoes and stockings. Though he was wealthy, he took joy in giving. You can read more about him here. The Saint Who Became Santa Claus Scroll down the page to find it. There is also a great St. Nicholas website with crafts here.